Heroin statistics reveal that Heroin use in Cuyahoga and surrounding counties is on the rise, and it’s taking lives at unprecedented levels. 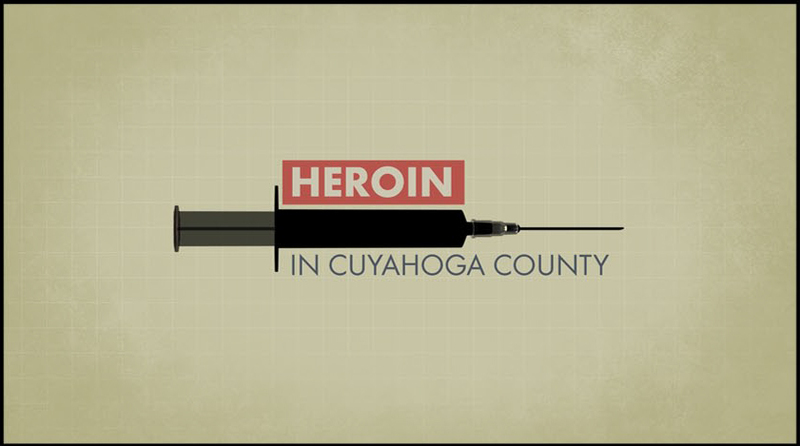 Today, heroin-related deaths in Cuyahoga County exceed deaths by homicide and exceed deaths by motor vehicles. And statistics indicate this trend will only increase. Heroin is right here in our county. It affects our children, our families, our friends and our colleagues. Many of us are unaware that this happens where we live, but heroin use statistics make it painfully obvious that heroin knows no bounds. Heroin use often starts innocently enough: A prescription for opiate-based painkillers to manage pain after injury, surgery or dental procedure. Doctor prescribed, taken as directed. But then the pills run out. For an addict, the need does not. Heroin is an opiate, a highly addictive drug that mimics the effects of prescription painkillers. Once the prescription is gone, heroin is often cheaper and easier to get. Prevention is key. We need to educate ourselves, know the warning signs of heroin use and take action. The signs of a heroin addict are hidden in plain sight. Being aware of these signs can help detour a path to addiction. Addiction is powerful, and it is relentless, but it can be treated. Awareness, education and making resources readily available are critical to prevention and rehabilitation. No one wants to be an addict. It is up to us to help the ones in need, the ones we love, because very few can do it alone. Friends and parents of heroin addicts will tell you that you must be vigilant and ready to take the steps to save the life of someone you care about. It all starts with your initial effort - and there is hope. As a community, we cannot solely arrest, medically treat, legislate or educate our way out of this, rather, it is all of these working toward the same goal: stopping the opiate and heroin epidemic. Take the time to learn about heroin addiction and what you can do to stop heroin abuse in Cuyahoga County. Share this information with your friends and loved ones. Know the warning signs of heroin use. Then take that initial step to help save lives. Together we can stop the Heroin epidemic. Let’s face it. Heroin addiction is real, and it’s killing us. The Alcohol Drug Addiction and Mental Health Services Board provides information about treatment centers and other resources for in Cuyahoga County. The 24/7 Crisis Hotline is an anonymous, confidential service. Talk with a licensed staff person who will listen to your concerns without judgment, assess your needs and recommend options and resources to help you. The RX Drug Drop Box Program is an opportunity for residents to dispose of prescription drugs at drop boxes at participating law enforcement agencies across the county. Rosary Hall is a drug and alcohol addiction treatment center operated by St. Vincent Charity Medical Center in Cleveland. Stella Maris is a 501(c)3 nonprofit organization in Cleveland that provides chemical dependency treatment and mental health services. Call 211 (or 216-436-2000 in Cuyahoga County) to speak to an Information Specialist who will suggest agencies and other resources to assist you. This community service is provided by The United Way of Greater Cleveland. Let's Face It is a public service of the Cuyahoga County Prosecutor's Office offering firsthand accounts on the effects of heroin, resources and education on overdose and withdrawal, and statistics to aid in the prevention and intervention of heroin and opiate addiction. Do you suspect your son, daughter, teen, child, parent or friend is a heroin addict? Learn the warning signs of use and addiction.